SOUTH BARRINGTON, Ill. – The Chicago-area founder of one of the nation's largest evangelical churches is stepping down following allegations he behaved inappropriately with female congregants. The Rev. 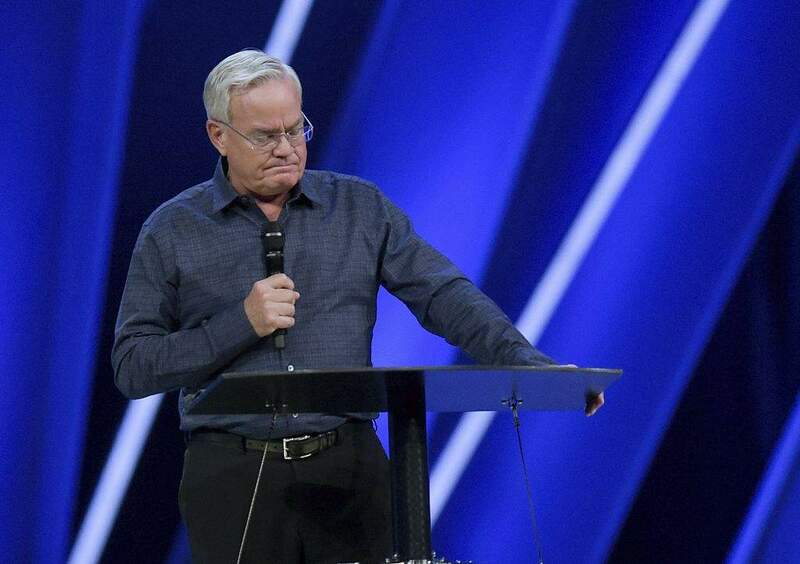 Bill Hybels announced his retirement at a meeting Tuesday with members of the Willow Creek Community Church. The 66-year-old Hybels told congregants that the allegations against him are "hindering our elders and church staff," and insisted he had been accused of things he "simply did not do." A church inquiry cleared him. The Chicago Tribune reported last month that the allegations against Hybels, including lewd comments and unwanted touching of women, stretch back to the 1990s. He had initially planned to retire in October. The church that he started in Palatine, Illinois, in 1975, now has eight Chicago-area locations. Leaders say it draws 25,000 people each week.